One week ago we launched the No More Faith Schools campaign. 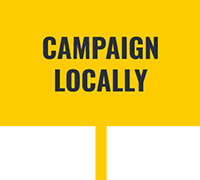 The NSS may be coordinating the campaign, but it isn't about us. It may sound corny, but if we come together we can achieve change. Apathy helps the status quo. Passion is our friend. The pro-faith school lobby is small but they are cohesive. Let's show we can be too. I spent most of Friday reading the first few thousand petition comments – you can read some of them highlighted in Faith schools: reducing the harm isn't enough – and I'm really impressed. It's important that we show the experiences of people from all different backgrounds, that we highlight the harms of faith schools and we set out the positive vision for an inclusive education system without them. - Write to your MP: MPs consistently overestimate support for faith schools. 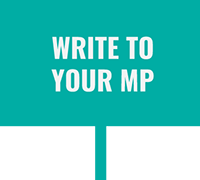 We have a template letter to help you lobby your MP on this issue. Whatever their stance, knowing their constituents want inclusive education with No More Faith Schools is important. - Contact your local representative: In addition to your local MP, please ask your local representatives what they are doing to support inclusive education and oppose the expansion of faith schools in your area. Remember also that education is a devolved issue. - Share your story: Are you a teacher, parent or pupil that has been affected by faith schools? It's not enough just to make the principled case against faith schools, we need to show how real people are affected by them and that an inclusive education system is better. - Share the facts: A lot of pro-faith school myths are believed even by those that would rather an inclusive education system. 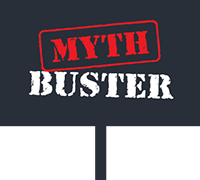 Help us take these on directly by sharing the Faith School Myth Buster. Let us know if you encounter any other common myths. - Share your support: Make sure you're following us on YouTube, Twitter, Facebook and Instagram and send us a message saying why you support #NoMoreFaithSchools. Why not download or create your own poster with your message? - Build the coalition: If you are a member of a political, religious, belief, community or social group that should be supporting the principles of fairness and equality behind #NoMoreFaithSchools, please contact that organisation and encourage them to become a supporter. We are proud to campaign for a fair and inclusive education system that will help to create a fair and inclusive society. Thank you for your support. P.S. this message was sent to the No More Faith Schools mailing list. If you've joined the mailing list but haven't signed the national petition, you can do so here.